So I’m going to let the cat out of the bag right at the start. Women aren’t at all like men when it comes to retirement. And thinking they are can get both sexes in trouble. Join us as we discuss how different retirement actually IS on VENUS. This presentation will be presented on February 15, 8 PM EST/7 PM CST/5 PM PST via About55 Live. Join us, dive in and find out how a Life’s Next Steps retirement lifestyle planning will help you plan for retirement and how to create a retirement lifestyle you’ll love living. 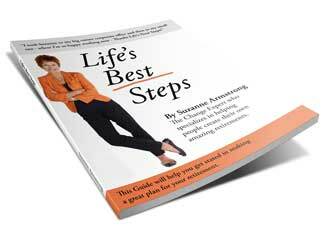 All registrants will receive a Free Guide to Your Life’s Best Steps and find the road to your dream retirement lifestyle today!